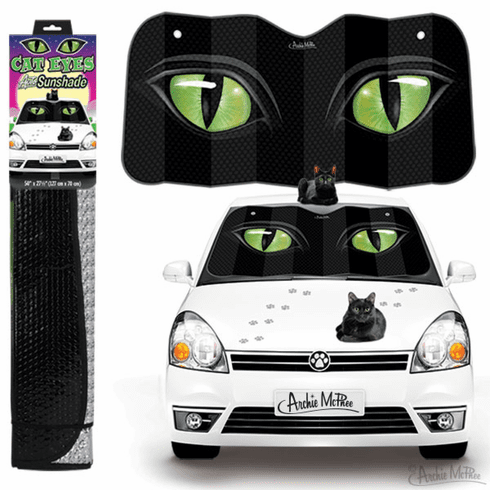 Someone needs to watch over your car while you aren't there, it might as well be a pair of giant cat eyes. At 50" x 27-1/2" (127 cm x 70 cm), this sunshade is big enough for most cars. Using solid material producing shade technology it protects, cools and blocks out UV rays. Includes two suction cups for easy installation. Folds for easy storage. Metalized polyester laminate. Bagged with illustrated header.